Yo, yo, yo… I’m hanging with my Gnomes this Holiday season! LOL!! This is actually a fun Christmas tradition that comes from our favorite Nordic friends up in Sweden & Norway. Gnomes have always been a big part of their Holiday traditions and I thought it would be a fun one to add to our family’s Christmas this year. 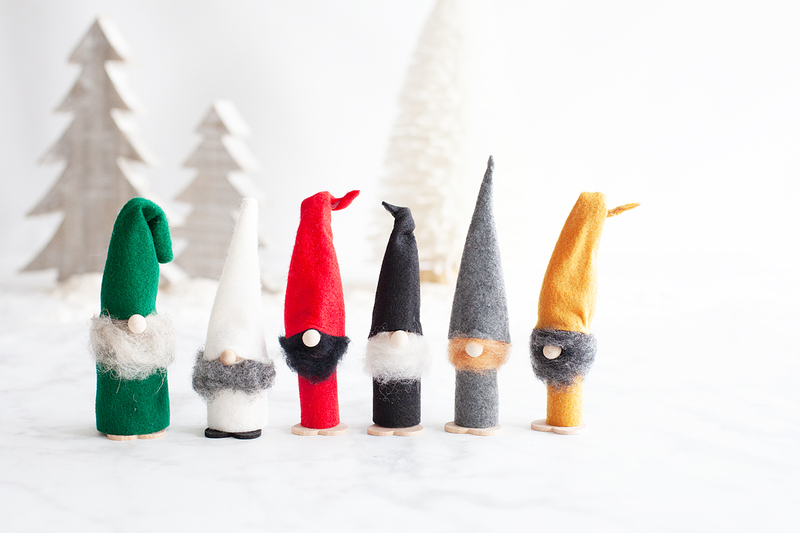 These cute gnomes are so easy to make and to add them to a yarn wrapped wreath form is a quick and easy way to introduce some new friends to your home. I grabbed all of my supplies at Michaels, my favorite creating store and set to work. Here’s how I made them. This wreath couldn’t be easier! You could even get the kiddos involved as long as you’re in charge of the hot glue part. We don’t want any burned little fingers. 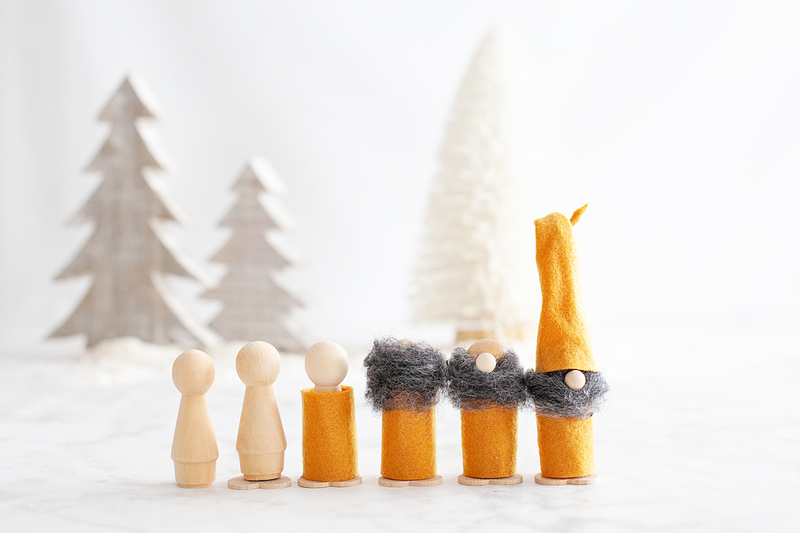 They can cut out felt, make beards & even wrap the wreath with the yarn. It’s a great Holiday project for the family. 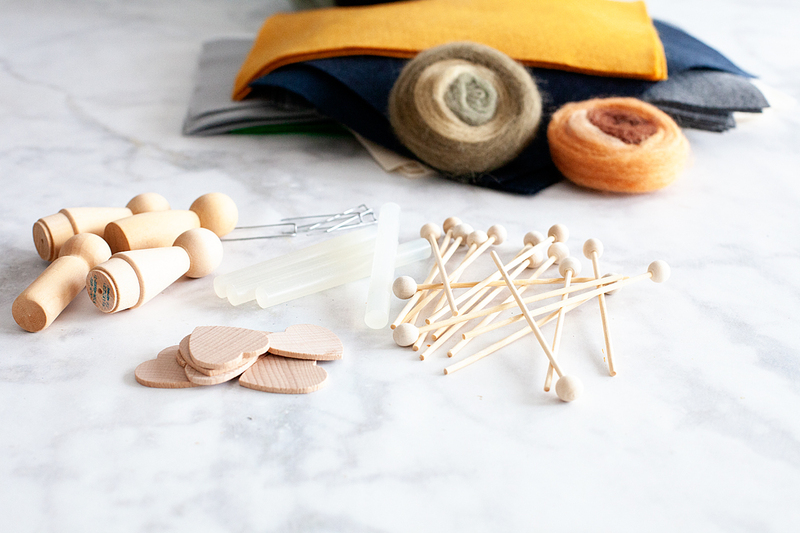 Here is what you’ll need to make one. Ok, had to create something fun when working with gnomes, right? Here’s a quick list of instructions for the hanging with my gnomes wreath as well. Hot glue the wood heart onto the bottom of the peg person. The top of the heart will be the top of his feet. Measure the height of the peg person’s body and cut a strip of felt that is large enough to wrap around the peg person. I can’t really give exact measurements for this because all peg people are a little different. Hot glue the felt onto the body of the peg person. Tear a 2.5 inch section of wool roving and gently pull it apart a bit to create your gnomes beard. Carefully hot glue the beard onto the peg person. Cut a tall triangle out of felt for the gnomes hat. Make sure the base is wide enough to wrap around the peg person’s head. Hot glue a section of floral wire onto the inside part of the felt triangle. Hot glue the trangle together to create the gnome hat like in the video. Hot glue the hat onto your gnome’s head. Cut the stick off of the rock candy stick and then hot glue the wood ball onto the peg person for the nose. 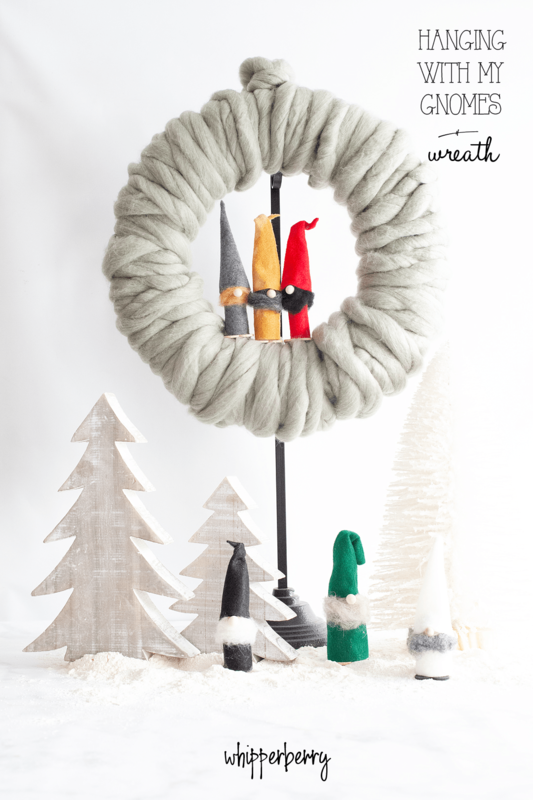 To start the wreath, tie a knot into the chunky yarn and secure it with the greening pins onto the wreath form. Wrap the form with the yarn until completely covered. It’s easier to work with smaller sections of yarn so cut lengths that are about 2 yards long and continue wrapping the wreath form until covered. 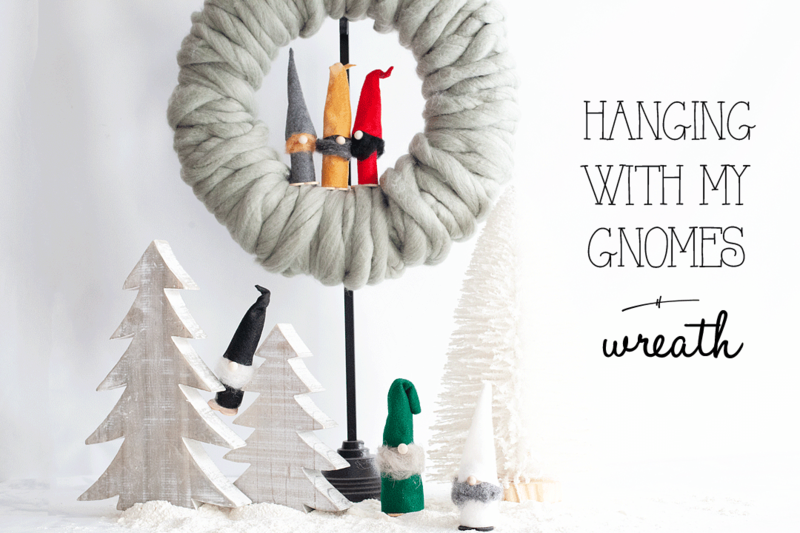 Hot glue your new little gnome friends onto the center of the wreath.